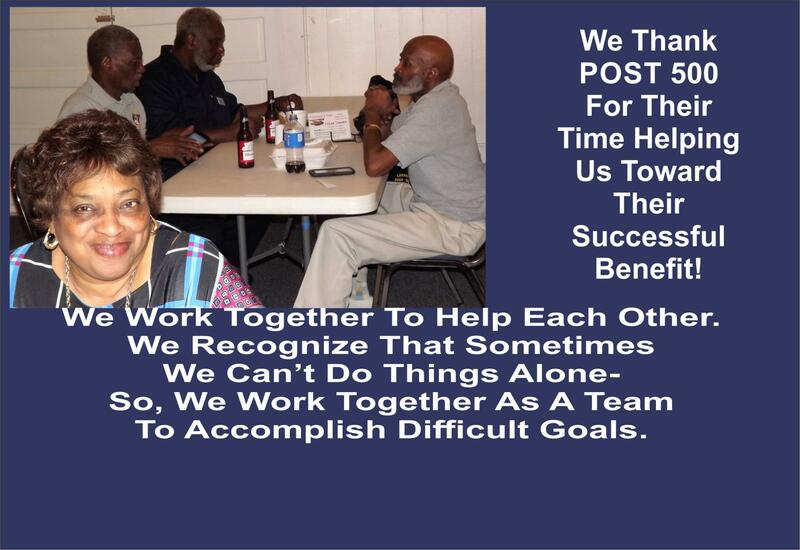 sponsors, plans and conducts fund raising events throughout the year for many community organizations. 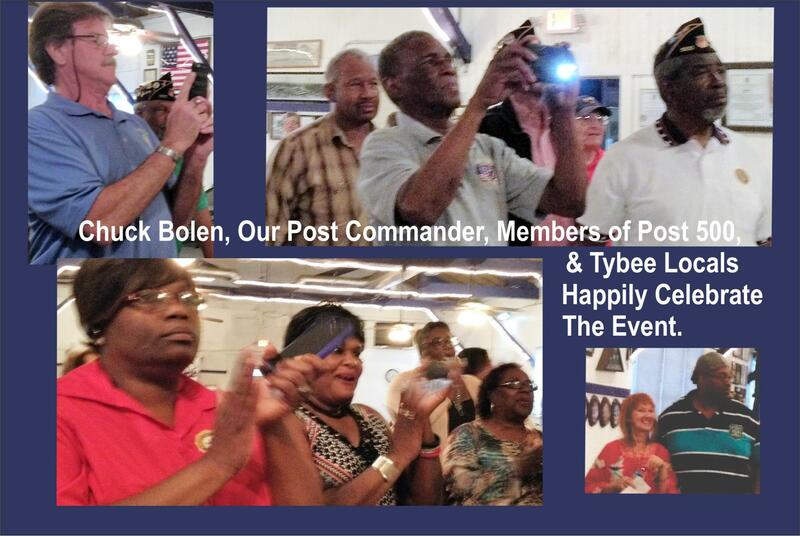 On this page we hope you enjoy viewing the candid photos from these events of the participants and attendees. 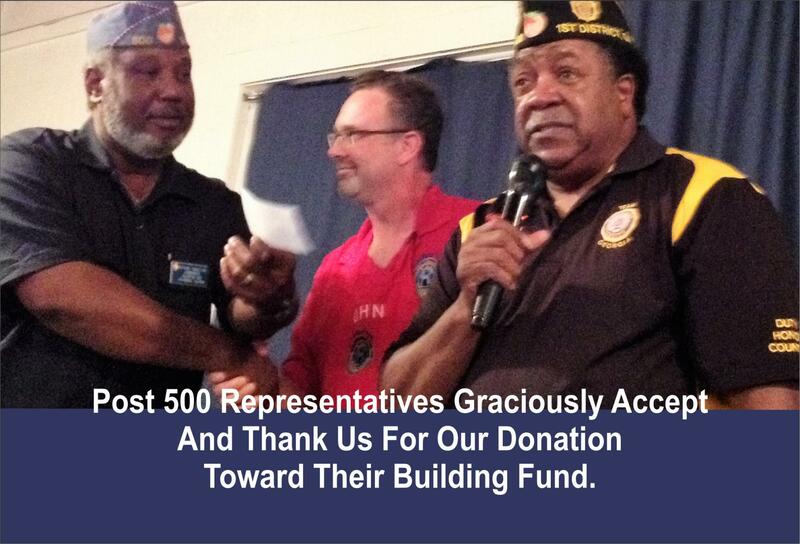 for volunteering at these events. 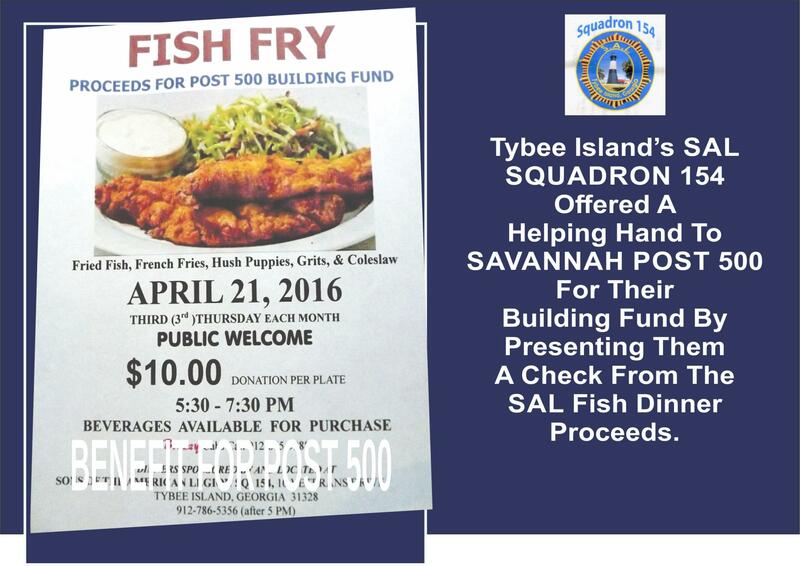 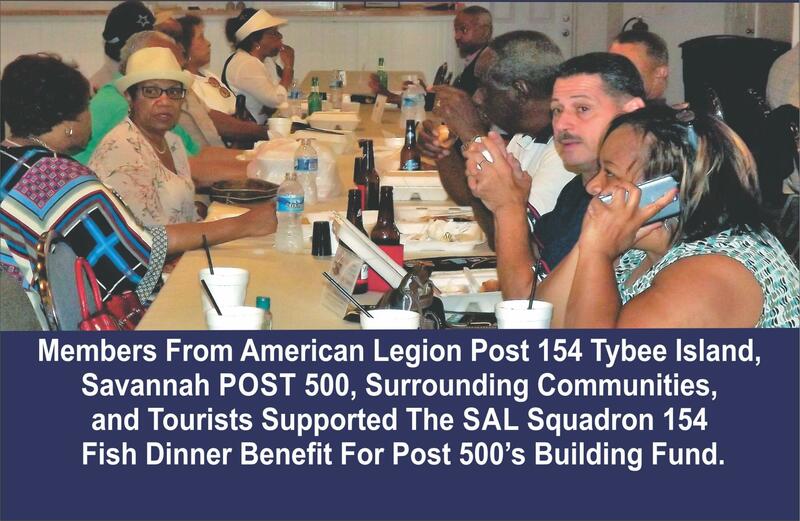 Savannah's American Legion Post 500 for their building fund. 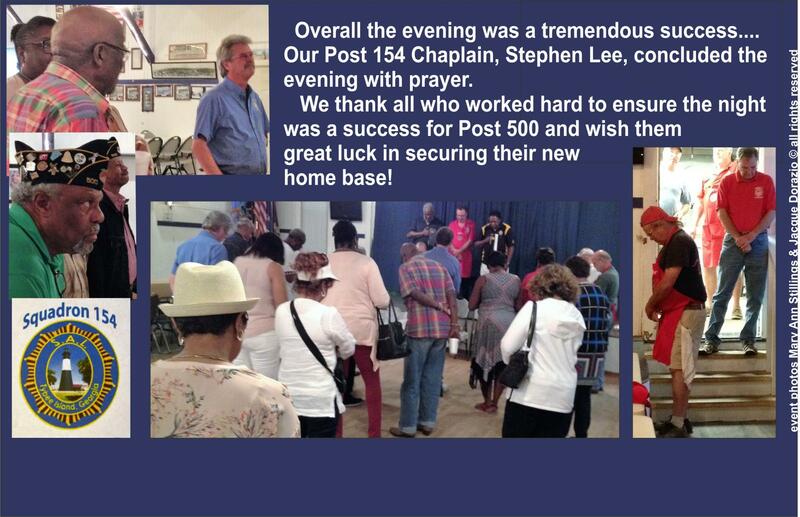 We wish them all the best in securing their new home base! 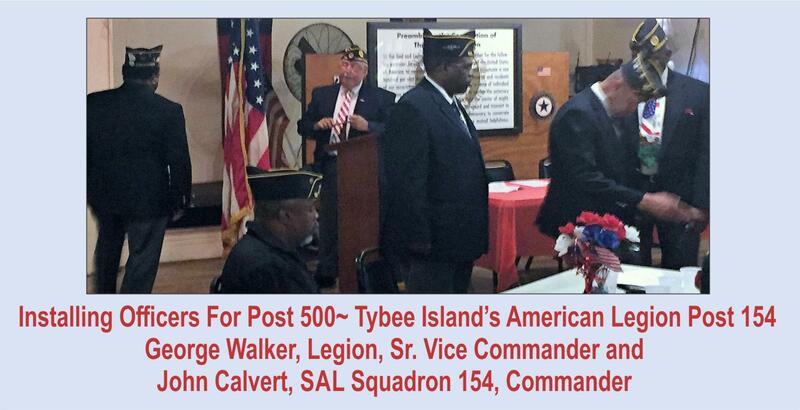 installation of officers for Savannah's Post 500. 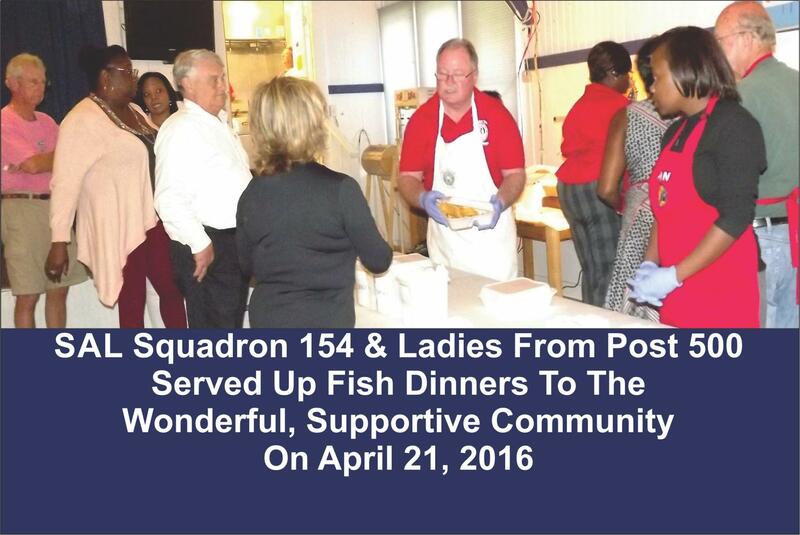 American Legion Post 36 in Thunderbolt hosted this honored event. 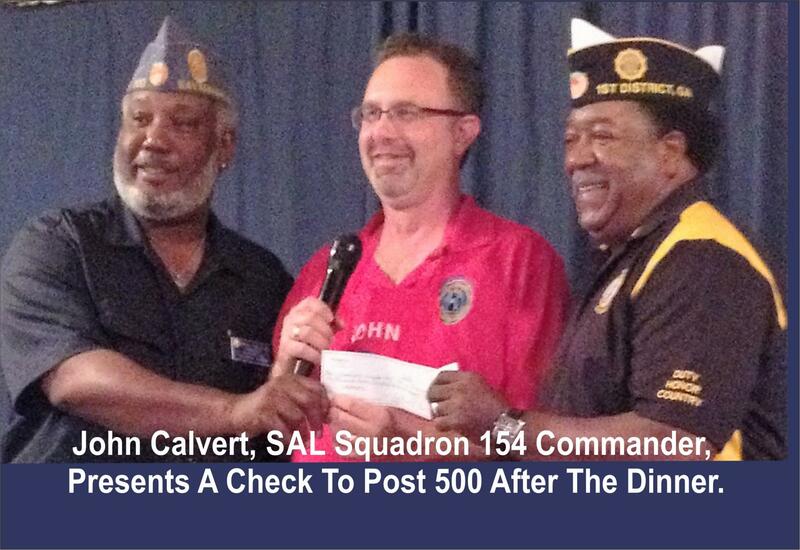 George Walker, Sr. Vice, Legion Post 154, and John Calvert, SAL Commander, Squadron 154, were the installing officers.